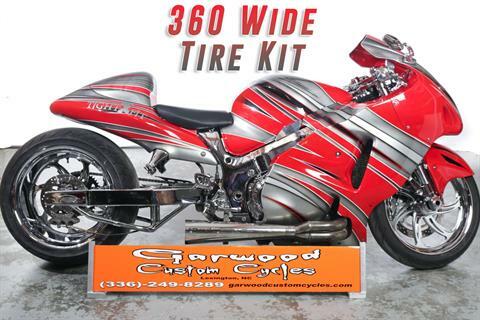 Our motorcycle shop in North Carolina is internationally known for custom motorcycles for sale. We have new custom bikes coming out monthly! Check out our custom cruisers for sale, and don’t miss our custom sportbikes and custom street motorcycles. We customize bikes from Harley Davidson, Kawasaki, Suzuki, Yamaha, and more. We also have custom Honda Grom bikes, plus off-road bikes and utility vehicles for sale. Need maintenance? We provide motorcycle repairs and service, including dyno tuning. 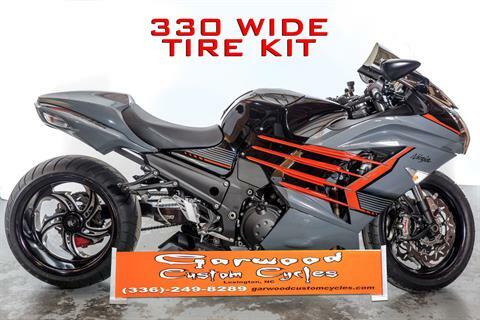 Our custom motorcycle work includes wide tire kits (both single-side and dual side) and extended swing arms. In fact, we offer more swing arms and wide tire kits for more motorcycles than any other manufacturer. 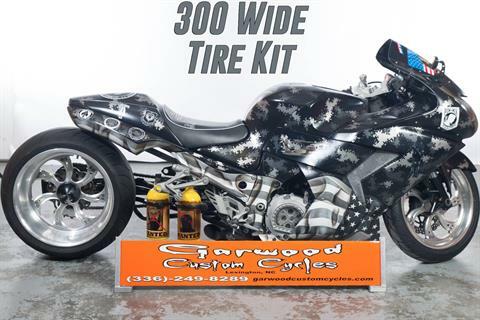 We also make GCC Signature Wheels and create custom motorcycle seats and custom-painted helmets. Our parts and accessories include triple trees, LED ultra-bright light kits, exhausts from Brock’s Performance and VooDoo, RC Components wheels, turbo kits, nitrous kits, air ride kits, and apparel. We ship nationally and internationally. Ask about our financing and free layaway! 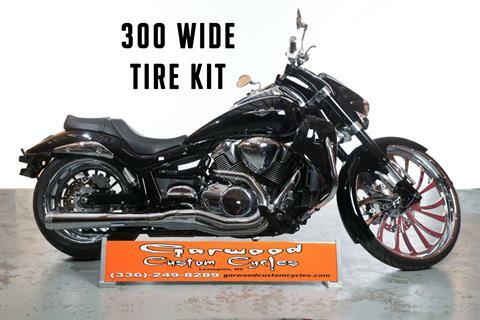 Garwood Custom Cycles is centrally located in Lexington, North Carolina, just off Interstate 85 and Highway 52. Our shop is easily accessible from Winston-Salem, High Point, Greensboro and Charlotte. We are next to C and S Custom, which makes all our parts in house. 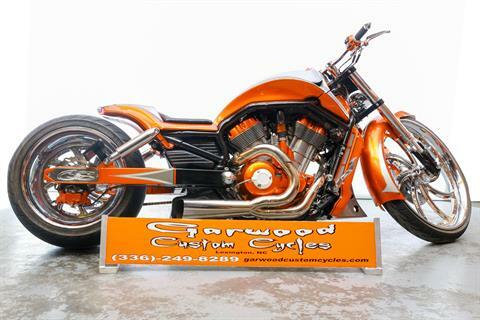 Visit today to check out our huge showroom for custom motorcycles and C and S Custom products.